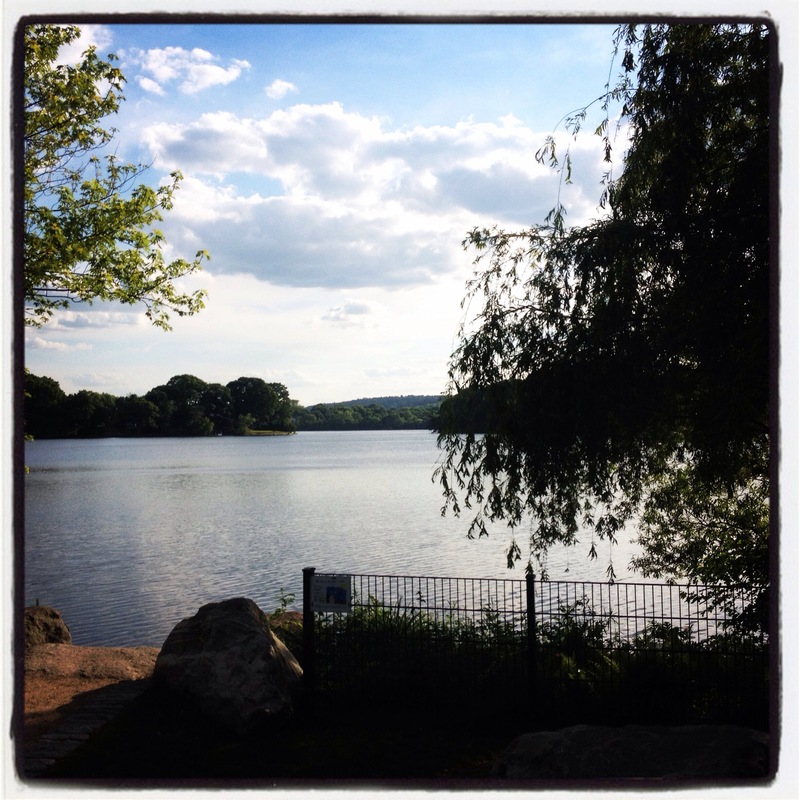 365 Challenge Day 32 – Running? Ran 20 minutes, great, loved it. Ran 20 minutes a week later, great, loved it. Then two days later something cramped up in my right hip, with a sharp pain radiating all the way around my hip and into my lower back! It was so painful! And kind of embarrassing because I could barely walk, barely bend over to pick something up, and barely sit up again from a laying down position. Not so good. I thought, Crap, well my running days did not last long. I took a hot bath, I took some ibuprofen, and the next day I went for a long and slow walk to get the kinks out. That seemed to help a lot. I missed my dance class the next day which I was really bummed about because I haven’t been in a while and was really looking forward to. But I was afraid I’d really hurt myself. I did manage to go out dancing that night though, which actually felt fine! So now it’s been a few days, and I feel pretty good. My hip still feels a little sore, but I’m walking and bending over normally. I have not given up on running!! I’m stubborn that way : ) I was too excited about doing it again to quit so easily. Next time I will make sure I stretch a little better afterward and the next day. 365 Challenge Day 20 – Cardio!! I went jogging today!! First time in more than a decade. I’ve been wanting to for a while now, months, but I was afraid I would hurt myself. Well, we’ll see how I feel tomorrow! I ran for 20 minutes straight without stopping, and then walked (slowly) for about 40. It felt really good. I love that feeling in my lungs after they’ve been working hard. I’m feeling very proud : ) I really didn’t expect to be able to do it. I thought I’d only last a few minutes or have to alternate between walking and running. I can thank Dr. Amen for my inspiration. I’m reading his book Change Your Brain, Change Your Life, and it’s very inspiring. It’s amazing how we can heal ourselves if given the right conditions. I’m looking forward to going again soon! A couple of years ago, even though I was in a good routine of walking almost every day, I realized that to be healthy I really needed to add cardio, or aerobic exercise to my week. 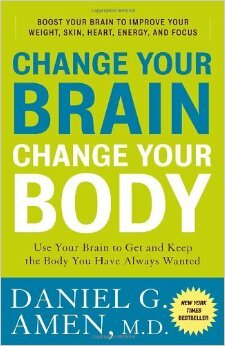 The thing that made me realize the importance of it was reading this book: Change Your Brain, Change Your Body, by Dr. Daniel Amen. Actually, I just decided I need to read it again. I love neuroscience, and I find neuroplasticity completely fascinating!! For years I had been reading about how meditation changes the brain, but this book was much more comprehensive. There were many issues the author specifically outlined and how they were related to brain health, linked back to areas of the brain being damaged or understimulated. There were multiple solutions for specific problems, some were complex and required medical interventions. But there was one solution that would help any of the issues and all areas of the brain: aerobic exercise! Basically, by increasing the oxygen flow to the brain, it improves brain health, which in turn improves mental and physical well-being. Things like memory, mood, and willpower could all be improved though cardio. For example there was a study that showed students excelled academically in a school that made aerobic exercise part of the weekly phys-ed program. Another study that showed regular aerobic exercise was more effective in the long term then anti-depressents for treating depression, and didn’t have any of the terrible side effects. His first book (which I haven’t read) talks about mental health and depression in much more detail: Change Your Brain, Change Your Life. Today I signed my son up at the gym where my daughter and I are both members. I was just there to get him started so I followed him around and we went on the bike, the stair master, and the treadmill, about 25 minutes all together. He also tried this crazy looking thing called a Jacob’s Ladder. Then in the afternoon I went back with my daughter, and I did 20 more minutes on the elliptical machine. I’m hoping that we’ll be able to get into a routine of all going together twice a week. When I was in my 20s and trying to lose my “freshman 15” (except it was more like freshman 20) I used to go on the stair master for one hour at a time. I don’t know how the heck I did that!! Well, I sure did lose the weight. Now, since I started trying to incorporate cardio again, I can’t seem to do more than 30 minutes at a time. Even 20 feels like a lot! I’d like to work up to at least 40. That would be a good goal for me. At least twice a week. I can’t say I love going on the elliptical machine the way I love yoga, love dance, and LOVE Zumba. But I don’t dislike it either. I put on some good tunes, or even listen to an audio book, and am always happy when I’ve done it.